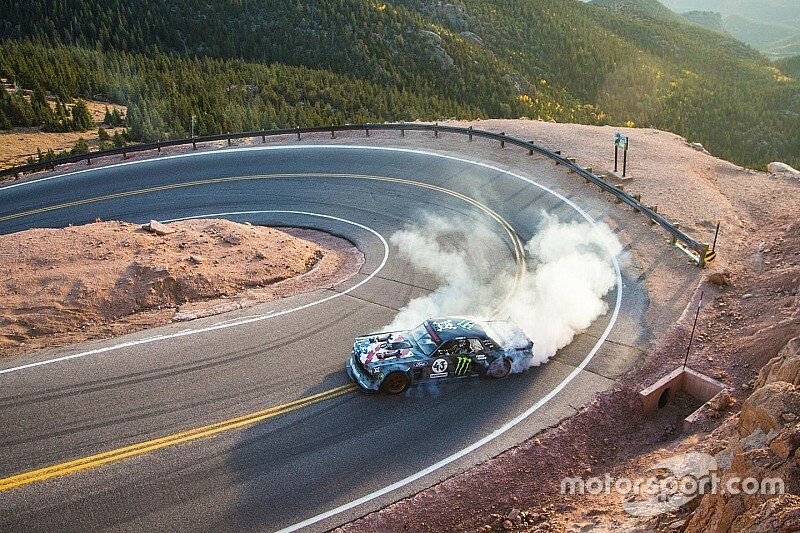 Viral video rallycross star Ken Block has revealed his latest Gymkhana video, featuring one of America’s most familiar motorsport venues in the Pikes Peak Hillclimb. Typically, Block’s approach to the Colorado venue is more sideways than most and involves more spins and donuts than anybody has ever managed on the 156 corners which wind through 12.42 miles and climb 14,000 feet. For the new film, labelled Climbkhana, Block has fitted two turbo chargers to his 1965 Ford Mustang Hoonicorn RTR. Hoonicorn V2 runs on methanol and develops 1,400 horsepower. That level of power is quite a change from when Block first drove the Pikes Peak Hillclimb in competition – at the start of his career – in 2005. 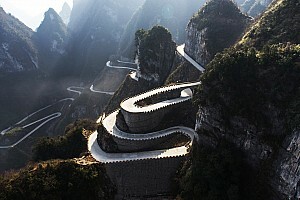 Block said: “When I was young, I caught the Pikes Peak International Hillclimb on TV once or twice. Even as a kid I remember dreaming about racing there some day because it looked so epic. “Eventually I did, back in 2005, but it was in a Group N rally car which didn’t have much power up in that high and thin air! It was an underwhelming experience because of the horsepower issue, but I loved the road and mountain - and I had always wanted to go back and do it right. So, to drive it like I get to drive in my Gymkhana videos – and do it in the Hoonicorn with 1,400 horsepower – well, that truly is a dream come true!" 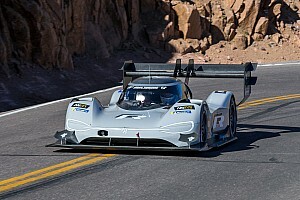 Block admitted the car was almost a little too extreme – particularly given the drops from the top of one of the highest mountains in the Rockies. “This car is insane,” said Block. “I feel it genuinely wants to kill me! Before we added the twin turbos, it was the most fun car I’ve ever driven. Now it’s still quite fun to drive, but it melts tyres ridiculously quick. 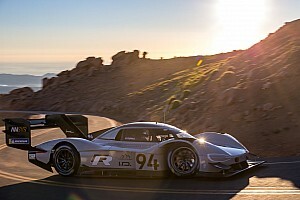 Block’s time up the mountain was undisclosed, but it was certainly slower than Sebastien Loeb’s 2013 record run of 8m13.878s in his 850bhp Peugeot 208 T16.